 Professional Member – To join NSA/DC as a Professional Member, you must first be a Professional Member of the National Speakers Association in good standing. This means you have submitted an application to the national-level NSA organization documenting your professional speaking career, you have been accepted as an NSA member, and you have paid national dues. Speaker Academy – You are invited to audit and then join an unsurpassed community of your peers from all walks of life. Like you, they are ready to create a successful speaking business and the academy will lead the way. Bureau/Affiliate – Open to those who provide support services to professional members, represent speaker bureaus, or offer goods and services to the speaker community. The benefits include member fees at regularly scheduled chapter meetings, participation in NSA-DC social media groups, and inclusion of a logo (if applicable) on social media sites. We value the support of our bureau and affiliate colleagues.